Simply the best way to transfer power over long distances on a VEX EDR robot. Sprockets come in a variety of sizes for different ratio possibilities. 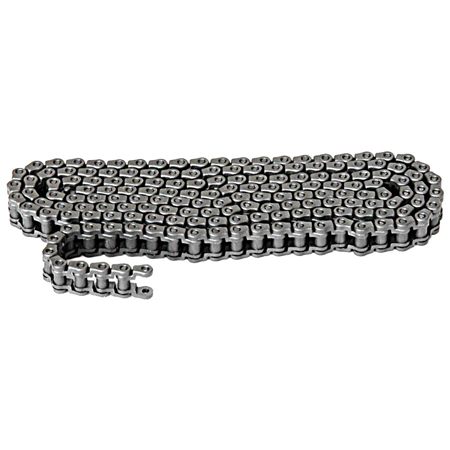 Each chain link is also a master link, which allows for quick and painless substitution. The standard Sprocket & Chain Kit is designed to carry moderate loads, while the High Strength Chain & Sprocket Kit is capable of lifting up 50 pounds! For more information about reductions click here or here for other cool applications of sprockets. This kit includes additional Chain. Great for any application where you need to transfer power across long distances.